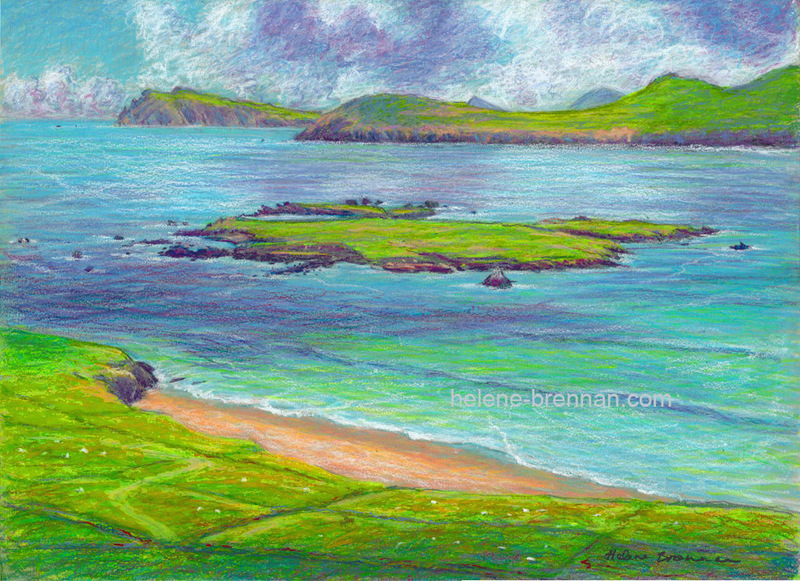 The White Strand (An Trá Bán) on Great Blasket Island, and Beginis Island. The mainland lies across the water. Unframed, no mount, can be easily posted. Limited edition prints available, 150 euro. Framing available if picture collected. Please enquire.